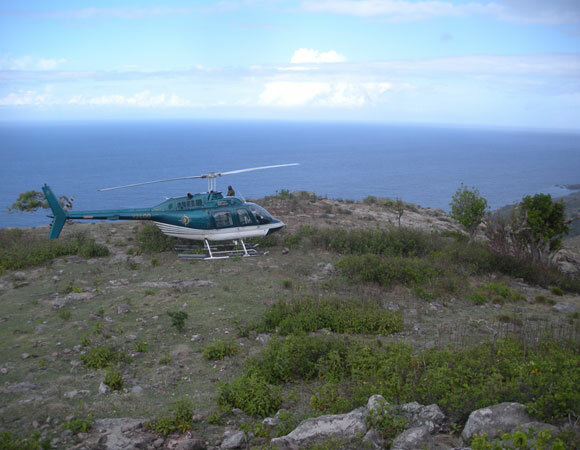 In April of 2012, two engineers from UNAVCO conducted a maintenance trip to the Island of Montserrat to service four stations that house continuous GPS systems and borehole strain meters. 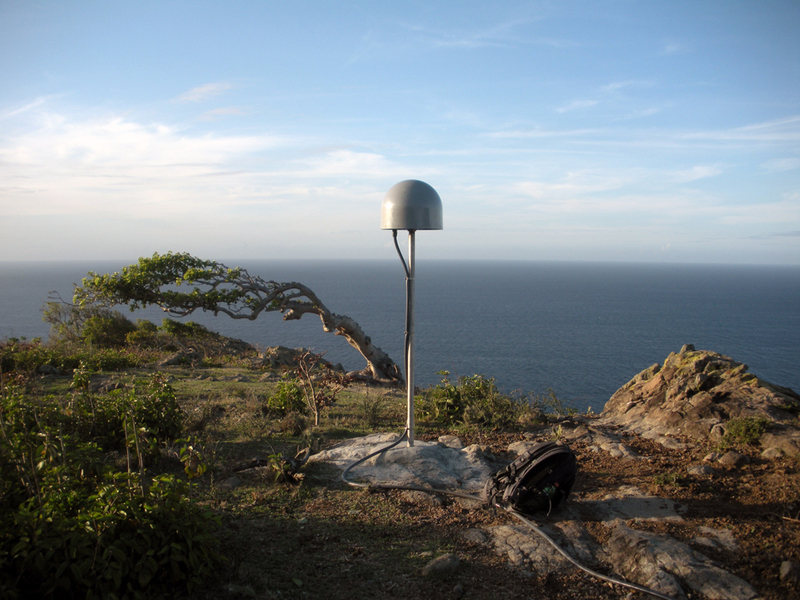 These four stations were originally installed on the island between 2002 and 2004 as part of the Caribbean Andesite Lava Island Precision Seismo-geodetic Observatory (CALIPSO) project. 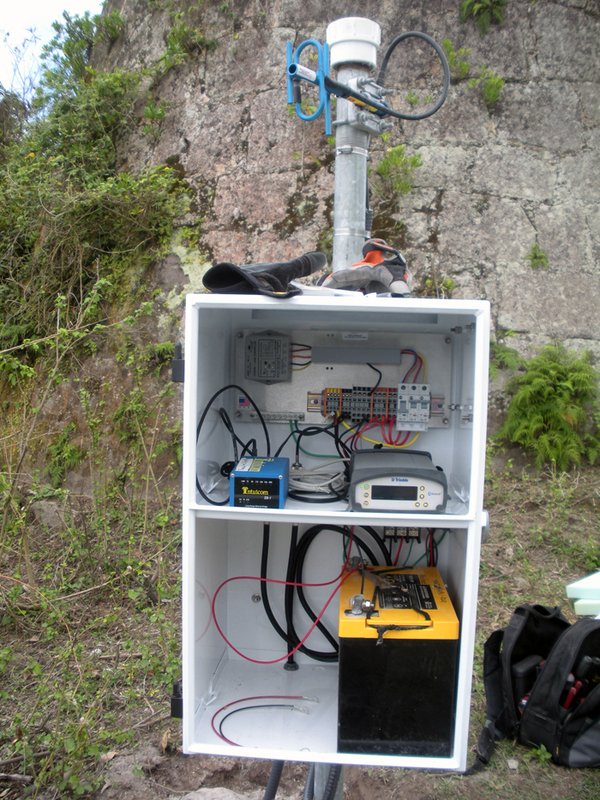 The instrumentation power systems and data communication infrastructure at these stations has continually been upgraded over the life of this project. 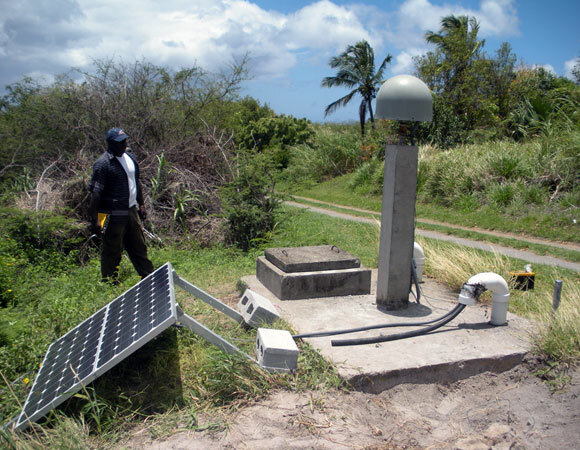 While on the island, the UNAVCO engineers also installed two new continuous GPS stations funded by NASA, including one station in the island’s exclusion zone to the southeast of the volcano and another at the extreme northern tip of the island. 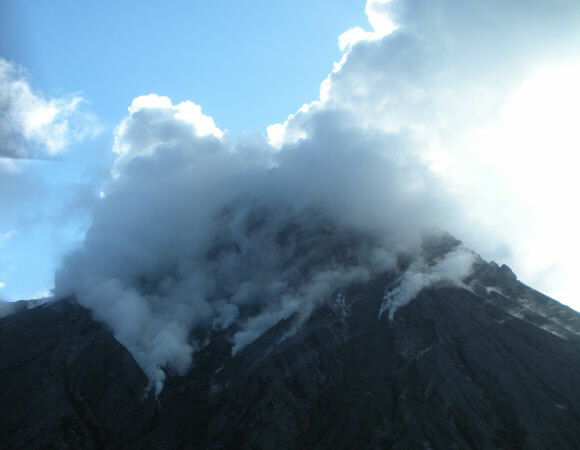 Examination of these three case studies will shed light on the relative contributions of endogenous as well as exogenous processes that contribute to and eventually result in edifice collapse on all arc volcanoes. Figure 1. 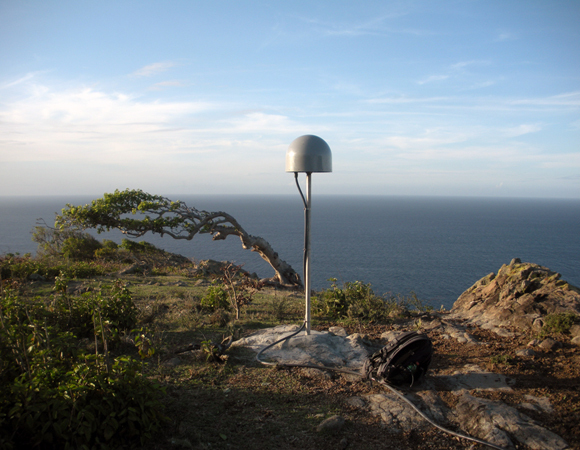 GPS antenna at new site NWBL. Photo by Abe Morrison. Figure 2. 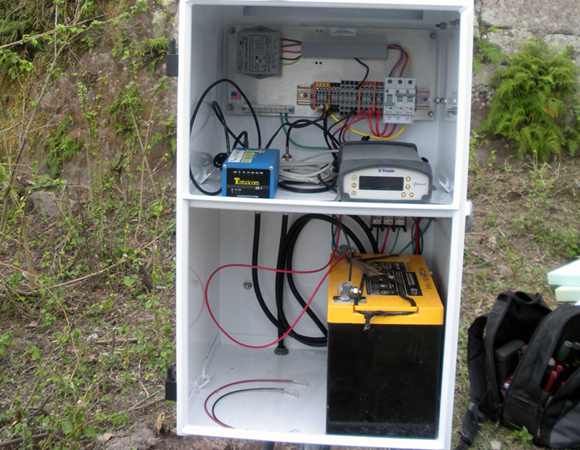 Inside equipment enclosure of new site RCHY. Photo by Abe Morrison. Figure 3. 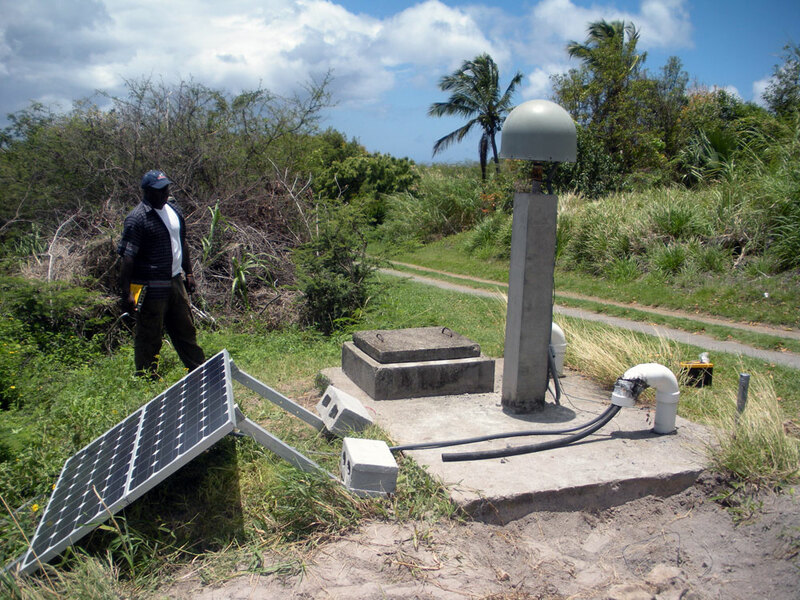 Pyiko Williams inspects the station after upgrades at Air Studios Station (AIRS). Photo by Abe Morrison. Figure 4. Recon of site for new station NWBL. 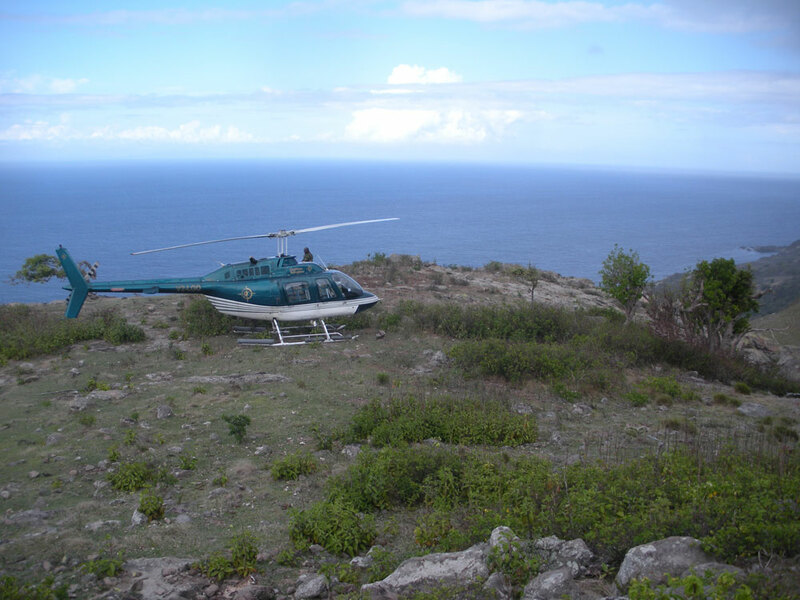 The site was only accessible by helicopter. Photo by Abe Morrison. Figure 5. 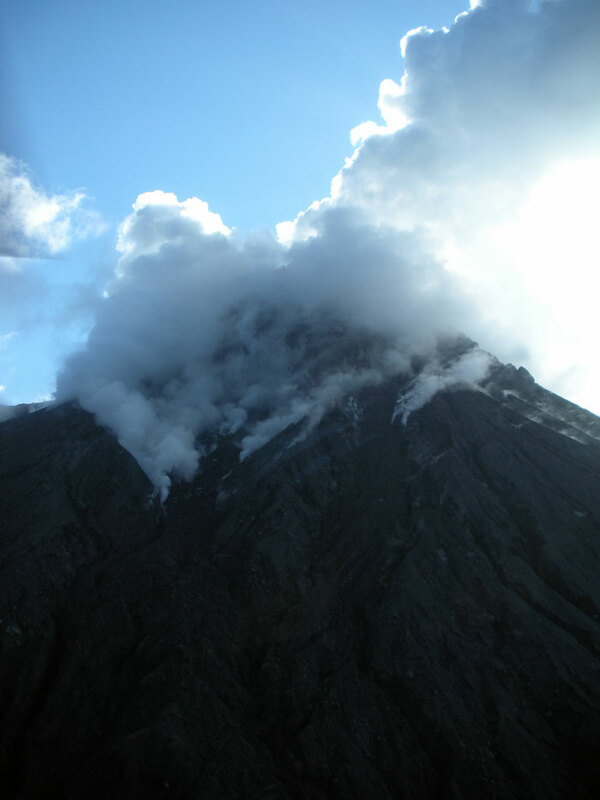 Soufriere Hills Volcano taken from helicopter after installation of RCHY site. Photo by Abe Morrison.